Because ethical production is paramount at Atelier Tuffery, we offer a line of organic French jeans. Organic French jeans are not just a fad. It is our answer to all those who seek ethical clothing which respects those who make it and those who wear it. 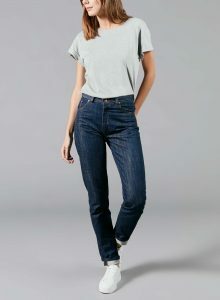 our French organic jeans ? Ever since the relaunch of our business, we have been conscious of our desire to produce jeans corresponding to the requirements we insist upon for everything we make. Clothes using organic textiles are developing and we wanted to offer them to our customers, who are sensitive to the ethical dimension of the products they buy. 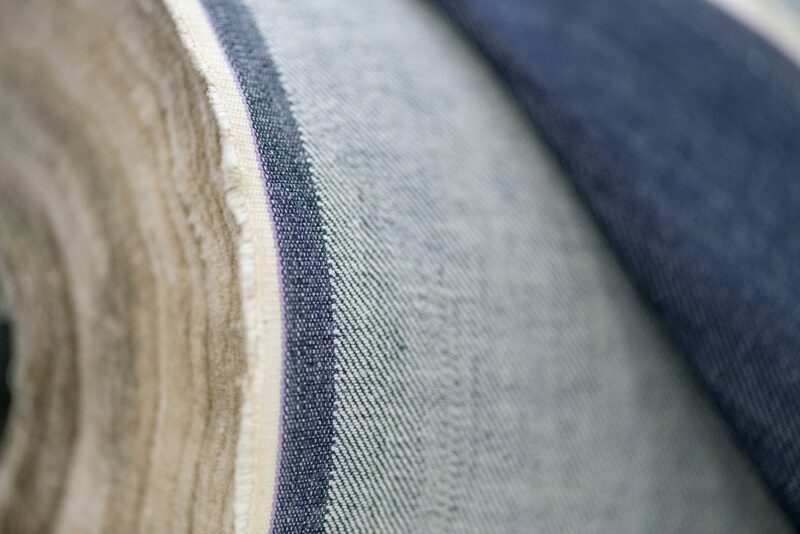 However, the quality of the yarns and fabrics of the jeans we found didn’t match the quality levels we require to perpetuate our 125 years of producing the most robust denim clothing. Which items of clothing do we offer in organic fabrics ? We didn’t want to offer organic French jeans of a lower quality and preferred to be patient in order to find a fabric that was both organic and offered high quality. After two years of research, testing and the result of a meticulous quality process, we have developed three women’s lines using organic fabrics and natural indigo hues. Marthe and Marianne are our two lines of organic French jeans and Agathe is our high-waisted pencil skirt in organic denim. What standard guarantees an organic garment ? A single standard is now used as a reference in the business to ensure everyone that a garment has been made using quality organic cotton. This is called GOTS (Global Organic Textile Standard). This label, which our fabrics have obtained, is considered “the world reference in terms of the evaluation of organic fibres, integrating social and ecological aspects, based on certification independent of the entire supply chain”.